The leather Canterbury Modern Sofa is the epitome of modern sophistication and comfort. 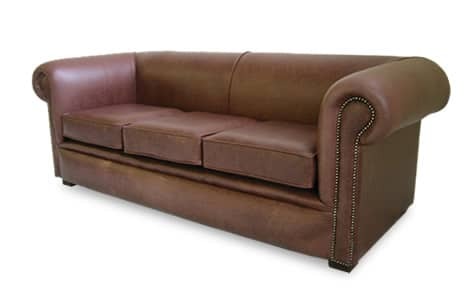 This piece combines style, comfort and still retains the stunning traditional leather Chesterfield look. Bespoke design, choose from our 2, 3 or 4 seater, all of which look stunning in the full range of colours.